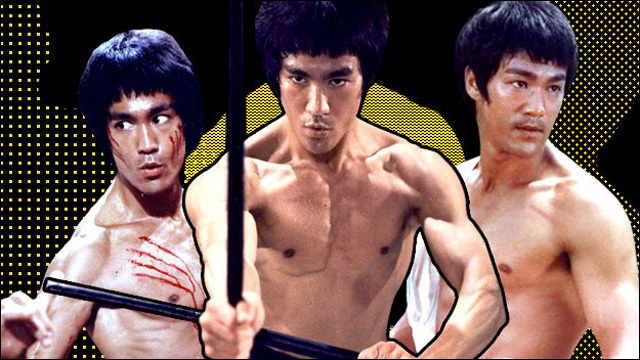 Ranking All 20 Bruce Lee Fight Scenes From Great To Legendary: BuzzFeed offers a ranking of Bruce Lee's fight scenes from The Big Boss, Fists of Fury, Way of the Dragon, Enter the Dragon and Game of Death. Asian parents: Your kids are not robots: Do Asian Americans students have too much pressure on them to go to elite colleges? Instead of spending money on admissions coaches who teach kids how to be "less Asian," how about if parents encouraged their kids to be more creative? How I Failed to Save All People of Color from Oppression in My Six Minutes on The Nightly Show: Kristina Wong on the burden of representation as a guest on The Nightly Show with Larry Wilmore: "As the only woman of color on the panel, my goals for these six minutes of television were simple -- singlehandedly dismantle oppression and patriarchy with badass humor whereby I'd liberate all women, people of color and queers FOREVER." Will The Real Hapa Please Stand Up? : In response to Emma Stone's casting as Allison Ng in Cameron Crowe's Aloha, actress Kimberly-Rose Ka'iulani Wolter writes about what it is to be hapa. Redditors Flood Reddit With Hate Targeting CEO Ellen Pao After Site Unveils New Anti-Harassment Policies: After Reddit announced that it was removing five subreddits for violating its recently updated anti-harassment policies, users promptly turned their rage on CEO Ellen Pao. Sense8 and the Failure of Global Imagination: Netflix's new sci-fi series Sense8 centers on a group of people, scattered worldwide, who can share thoughts, memories, skills, and experiences. It has a lot going for it, but falls short in its American-centered notions of universality. Transracial Lives Matter: Rachel Dolezal and the Privilege of Racial Manipulation: "The crucial difference here is that I had and continue have no choice in my blackness. I cannot hide my skin or make myself invisible when I am protesting police terror or creating theater art for other Black women with skin like mine. I cannot manipulate what race is for my own pleasure." What Comes from Silence: Melissa R. Sipin on trauma, family, and silence: "She knows I am raging inside but not why. This silence is something we both know, something given almost at birth to Filipina women, ingrained within our bodies like the womb. This silence is the gauntlet among Filipino families. It goes without saying that discomfort, hiya, shame, or disturbance of the happy collective status quo is worse than silence." Teen's prom-night splurge will cheer homeless women: Seattle high school student Isaac Chan decided to use the money he would have spent on attending his senior prom to throw a nice dinner party for women at a local shelter, and the idea has caught on fast. Thirteen-year-old Cambridge girl Sumaiya Mahee takes on Islamophobia: Sumaiya Mahee is on a mission to build dialog and understanding in order to combat negative Muslim stereotypes. Public Defender No. 1: Jeff Adachi's Revolution: SF Weekly profiles San Francisco public defender Jeff Adachi, who uses his office to seek to redress injustice systemically. Live From UCLA, It's LCC! 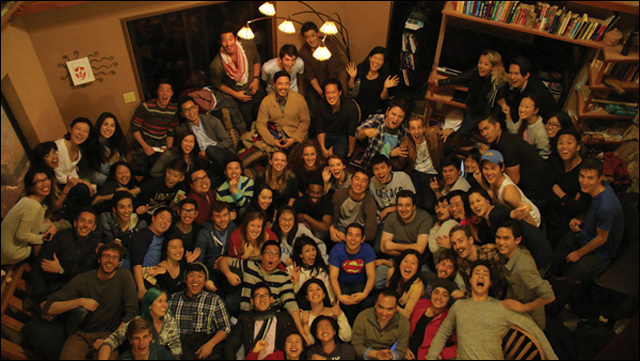 : 20 years ago, UCLA students Randall Park, David J. Lee, and Derek Mateo founded a theater group intended to be an Asian American Saturday Night Live. The LCC Theatre Company is still alive and kicking, bringing young creatives to write, act, and produce an original show every quarter. Read an Excerpt from the Summer's Funniest Beach Read | Vanity Fair: Read an excerpt from Kevin Kwan's latest novel, China Rich Girlfriend, the sequel to the wildly popular Crazy Rich Asians. Illustrator Jillian Tamaki looks behind the masks of young superheroes: Jillian Tamaki talks about illustrating and interpreting Dazzler, an overlooked Marvel character, for the comic Strange Tales II. Mystery novelist has a thing for gardeners and says L.A. ramen is best: Naomi Hirahara, mystery novelist and former editor of Rafu Shimpo, talks about rock gardens, ramen noodles and having a heart for gardeners. How to Make Online Dating Work: "Today's apps make meeting people fun and efficient. Now comes the hard part: changing out of your sweatpants, meeting them in person, and trying for a connection so you can settle down and get right back into those sweatpants." Amy Poehler and Mindy Kaling on Inside Out, Mindy's Hulu Move, and Those Daily Show Rumors: An interview with Amy Poehler and Mindy Kaling, who lend their voices in Pixar's Inside Out. 'Fresh Off The Boat's Constance Wu On The Appeal Of Her Tiger Mom Role And Embracing Her Roots: Fresh Off The Boat star Constance Wu talks to Deadline's AwardsLine about comedy, family, and how embracing her Chinese-American heritage has become her most recent career move. For Comedian Kumail Nanjiani, Getting Personal Is Complicated: Comedian Kumail Najiani moved to the U.S. for college and stayed to pursue his comedy career. He stars in HBO's Silicon Valley, and his own Comedy Central show, The Meltdown with Jonah and Kumail, which premieres June 30. Samantha Duenas AKA SoSuperSam Is Reviving L.A.'s Love for R&B: An interview with Samantha Duenas, aka SoSuperSam, on how she got to be the go-to DJ for both the luxury elite and the lovers of freak dance. Eye On The Prize: A Filmmaker Explores Conflicting Desires Behind Asian Eyelid Surgery: Jade Justad's short film Creased is about an Asian American high school girl who considers double-eyelid surgery. George Takei: From "Star Trek" to Broadway: An interview with actor George Takei, who takes on Broadway with the upcoing musical Allegiance, which tells the story of more than 100,000 Japanese Americans imprisoned in camps after Pearl Harbor.